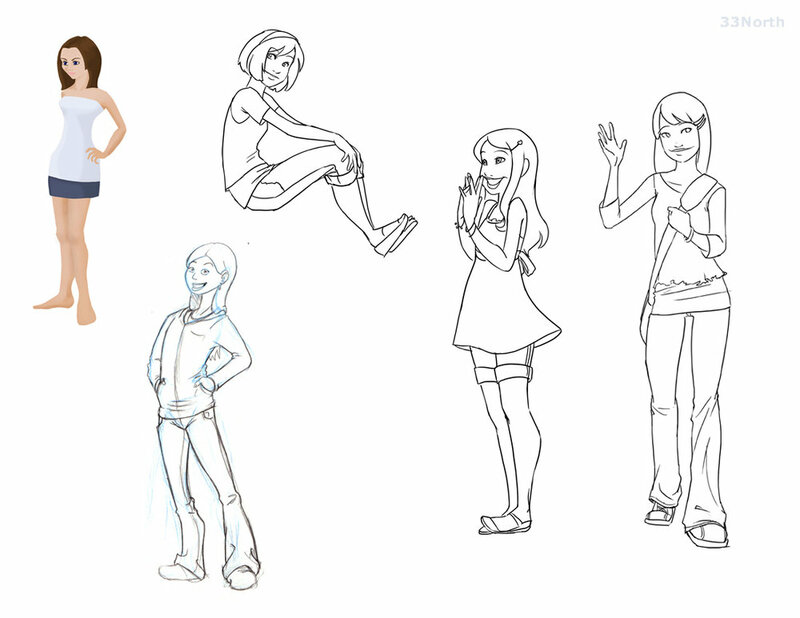 A bit of Art Direction for our main character. Fine tuning the characters was a critical part to convey the feeling we were after. Not characters, but part of the Lolliwood world. 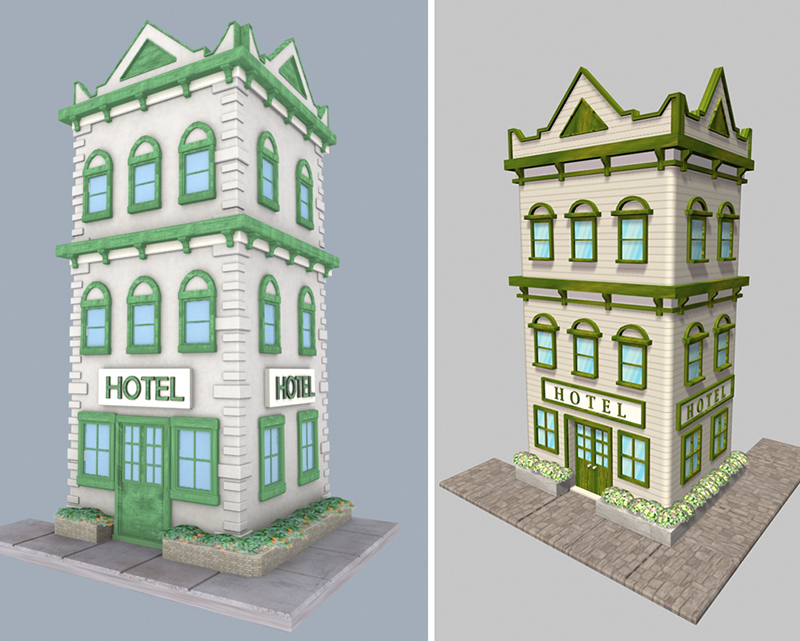 Here we have a couple different styles for the buildings of Lolliwood.